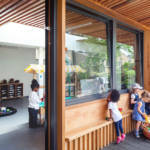 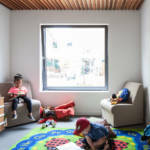 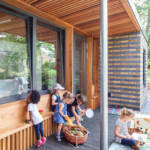 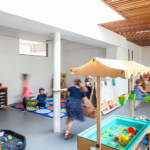 The Children’s Centre is one of several nursery and family facilities managed by Clapham Manor School, delivering high-quality childcare and education services in the neighbourhood of Clapham Common. 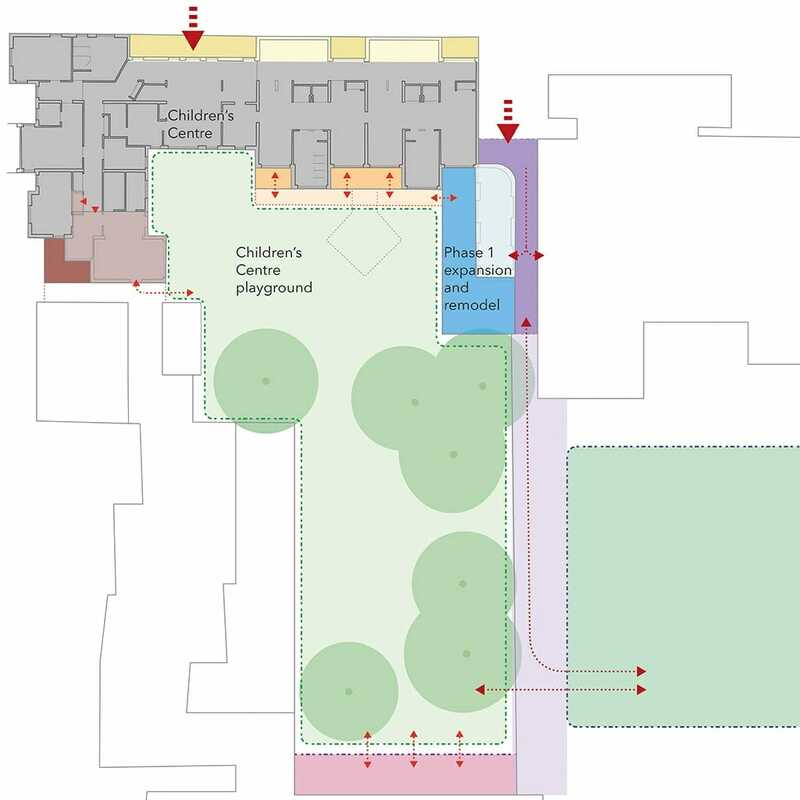 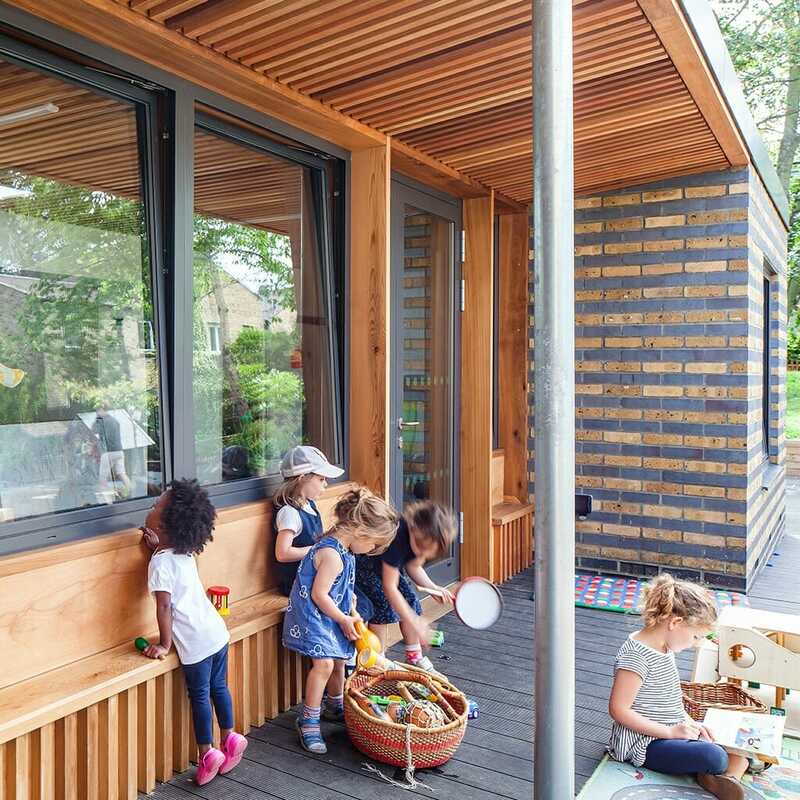 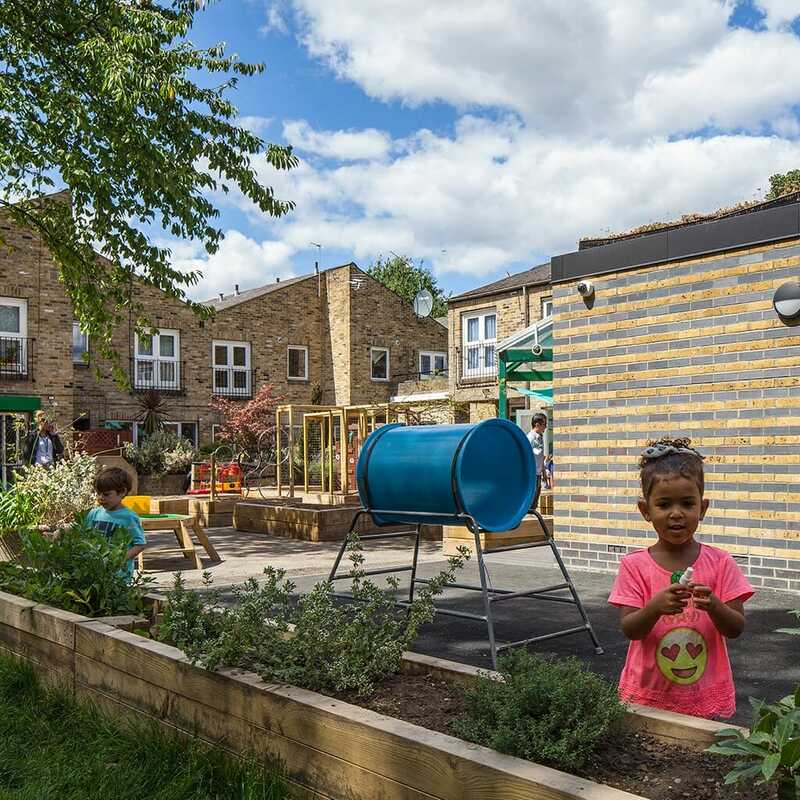 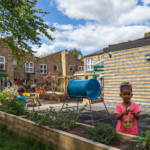 Matter drew up a Masterplan for the future expansion of the Children’s Centre to broaden its offer and connect better with surrounding services such as the neighbouring health centre and play facilities. 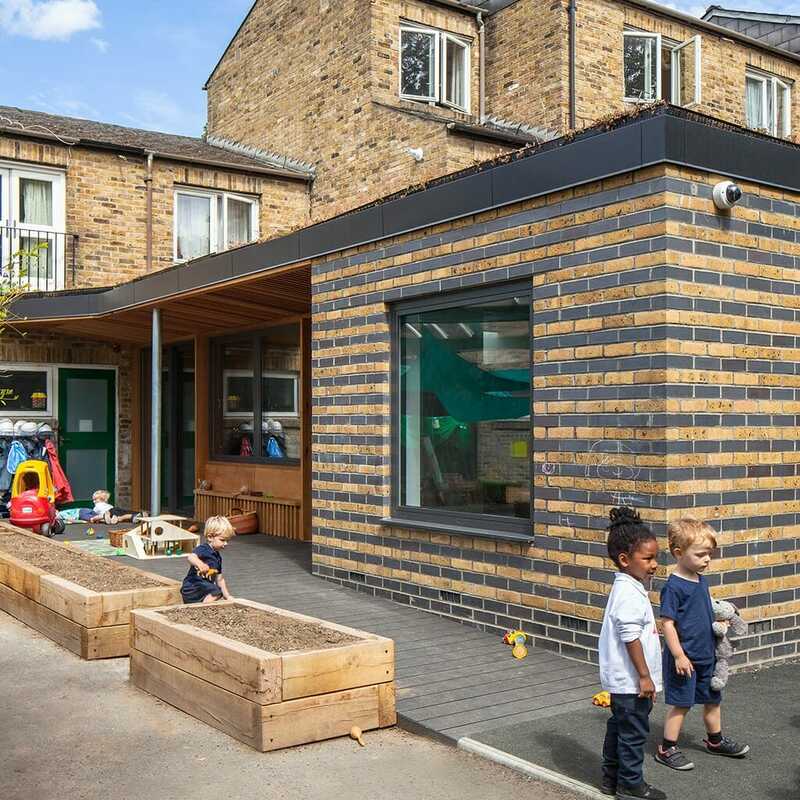 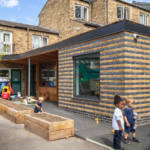 We supported the school in their successful bid for Government grant funding for the first phase of expansion which gained planning consent in early 2017 and was completed in 2018. 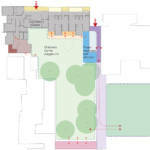 Phase one involves the renovation and extension of a disused IT suite, to form new play space and a resources room. 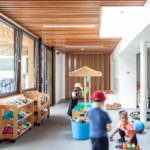 The new space opens onto the outdoor play area, providing a sheltered ‘cloister’ which will continue around the play area in later phases. The centre is constructed as part of a mixed-use development with residential above and our scheme involves structural alterations to open up the space, with residents remaining in-situ during the works.